For the first time in 20+ years in IT I fell for a scam. I actually clicked on a link in a scam email. Malwarebytes saved me (it is awesome – see why here), but that was the first time I have ever clicked on a scam email link. In my defence, it was the best scam email I have ever seen. No Nigerian astronauts. No fake invoices. This was an almost exact copy of a real email – plus it was sent to the correct email address for my ATO correspondence (it’s one I rarely use), and it was sent at the right time of year. 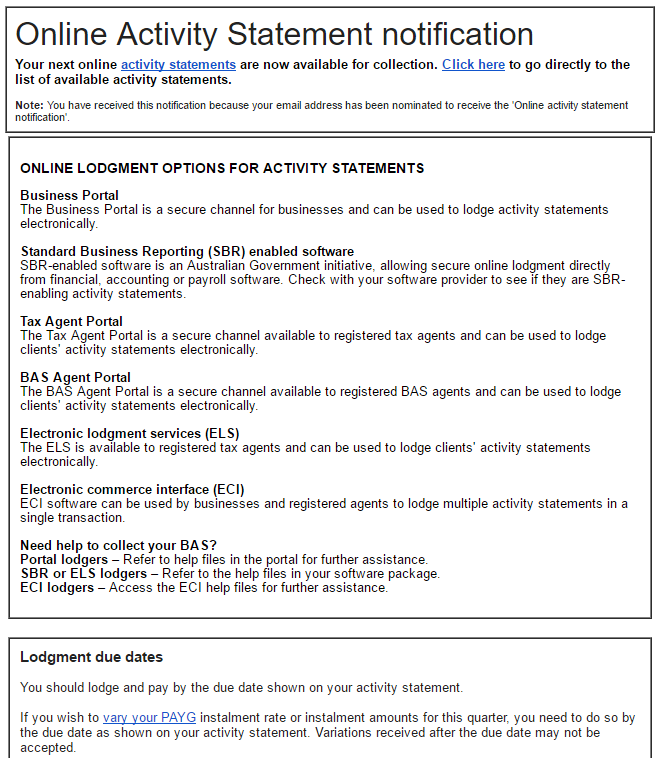 It is almost identical to the real one sent by the Australian Taxation Office. 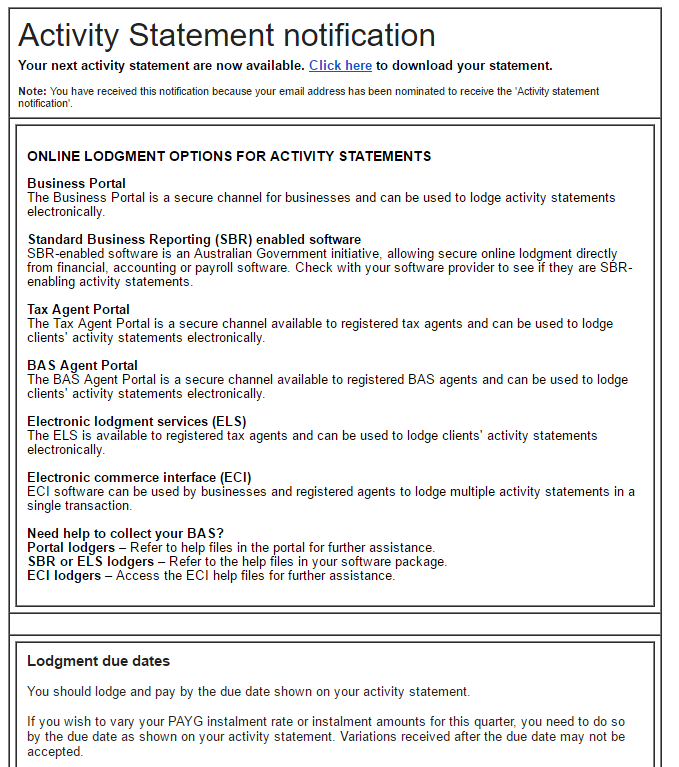 In the fake email it says “Your next activity statement are now available”. Should be “statements are” or “statement is”. When English isn’t your first language, our pluralisation rules are tough. Every single scam email I have ever seen has gramatical errors. They copied and pasted most of the rest of the email, so I didn’t see any other errors. The part to notice here is the “via sendgrid.net”. That means they are relaying the email, and thus it is not really from basnotification@ato.gov.au (which is a real address). That was a very close call. And I like to think I know what I am doing. The only error I see in this is a missing space between link and remain in the third sentence. And again, this was sent to me, and I did have a business name due for renewal. 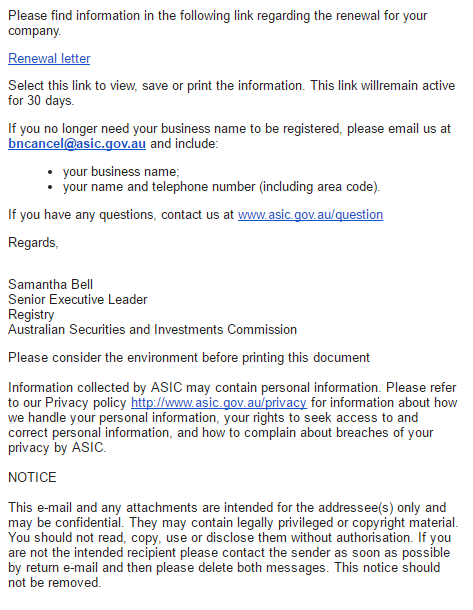 This is public info, so I don’t think ASIC has been hacked. The scammers are getting better. 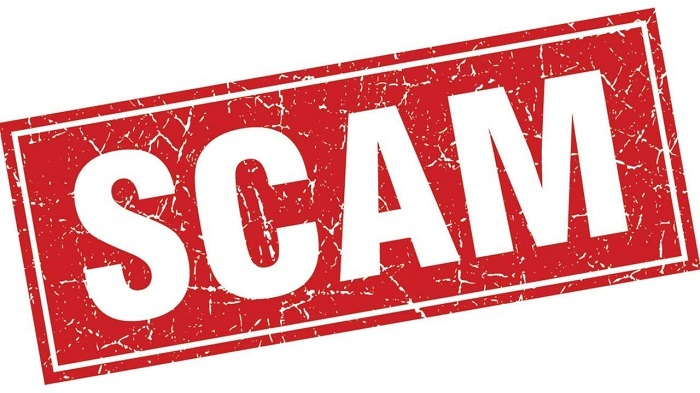 Here’s an article I have written about how to stay safe from scams. Be alert! Warn your friends. And get Malwarebytes. Are Cloud Applications Safe From Hackers?